Despite the negative economic reports such as disappointing inflation and labor market reports, GBP is acting strong against USD. 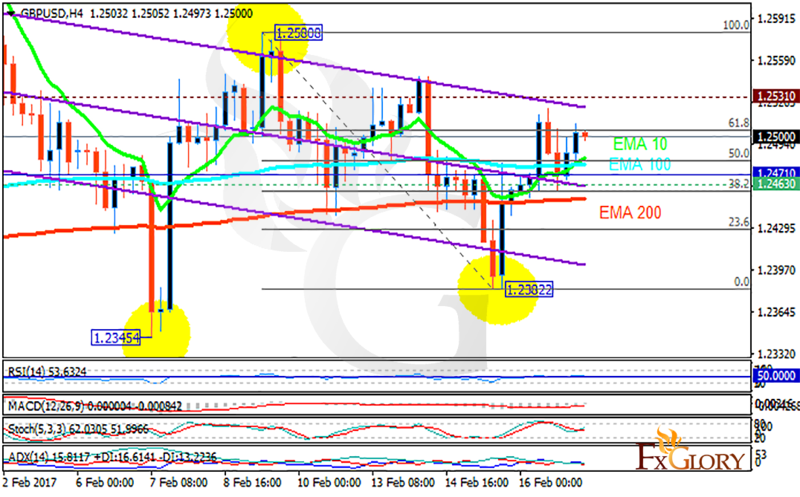 The support rests at 1.24630 with resistance at 1.25310 which the weekly pivot point at 1.24710 is located in between the lines. The EMA of 10 is moving with bullish bias and it has already passed the EMA of 100 and the EMA of 200. The RSI is moving horizontally above the 50 level, the Stochastic is moving in middle ranges and the MACD indicator is in neutral territory. The ADX is not showing any clear signals. The resistance level breakout will smooth the way for further growth otherwise, since the price has already hit the 61.8 level of Fibonacci retracement, the pair might fall towards the support area.